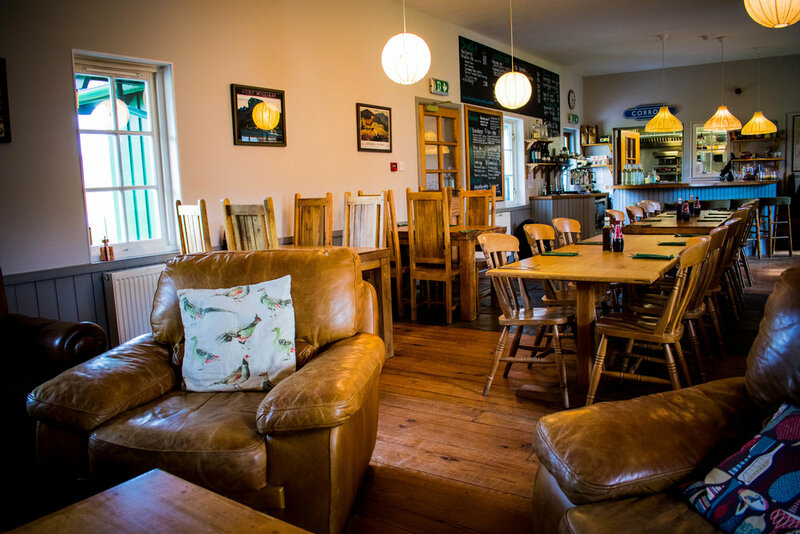 Corrour Station is one of the most remote restaurants in the U.K. It is only accessible by train or by walking 20 miles! It has it's own stop on the West Highland Line train. We took the train from Glasgow and it was a beautiful way to see some of the Highlands while relaxing on a train. The food at Corrour Station was so delicious and fresh. 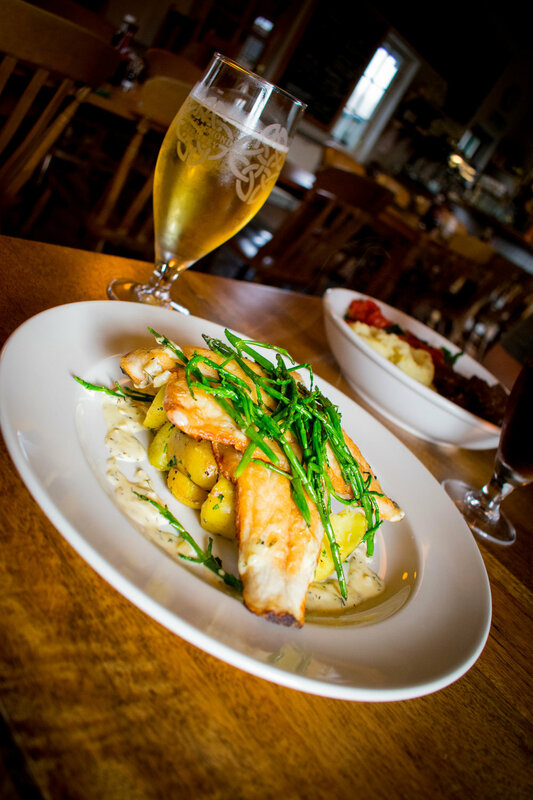 Very hearty meals, perfect for a cold rainy day! After dinner we were going to hike towards the lake and camp for the night. It was our anniversary and our first night of camping on this trip and we were beyond excited to be celebrating our anniversary in such a magical place. Let me preface this story by saying that Corrour Station is one of the most incredible places in all of Scotland. 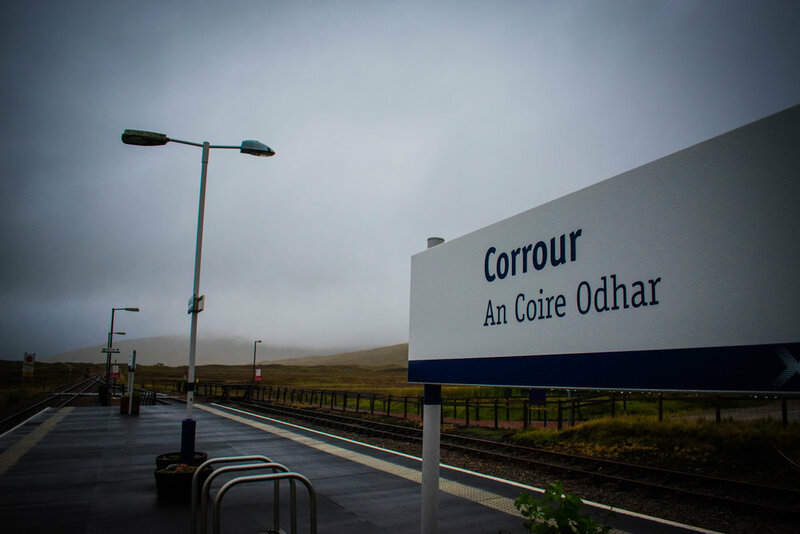 If you're looking for some place remote and secluded, then go to Corrour Station. However, do yourself a favor and read my story and learn from our stupid mistakes before you go! When we first arrived it was pretty windy and raining a little, which was not bad. We were prepared for a lot of wind and rain on this trip! However, shortly after we started hiking the wind died down and the rain stopped - that's when the midges came out. This was early September and I had heard about midges, but I had read that their season usually ends in August so I thought we wouldn't really have to worry about them. There is a midge report that I highly recommend you check before camping anywhere in Scotland! If I had checked the midge report before we decided to camp, I would have seen that it was the ONLY place in Scotland that had a 4 out of 5 on the midge scale and I would have opted to spend the night in one of the rooms at Corrour Station. Unfortunately, we did not know that the midges would be so terrible. As soon as they hit, it was like a horrible nightmare. We set up our tent as fast as we could and hunkered down for the night. When we woke up we were seriously hoping for some rain & wind so the midges might not be bad. I opened the tent door, climbed out, and looked around. I felt like it was drizzling and I didn't see any midges, so I said "I think we're good!" I was wrong. Very wrong. I looked down at my hands and I literally could not see my skin. My hands were totally and completely covered in midges. Panic ensued. It was fight or flight and we chose flight. We packed up our tent as fast as humanly possible and started running without even thinking. Thankfully, it didn't take long to get around a hill enough for the wind to pick up and scare off the midges. Once we finally felt we were clear of the midges, we relaxed a bit. We looked at each other, thinking the same exact thing, "What the hell were we thinking?" Those midges made that night of camping one of the worst experiences I've ever had in the outdoors. However, just when we were feeling at our lowest, Scotland surprised us with something incredible. 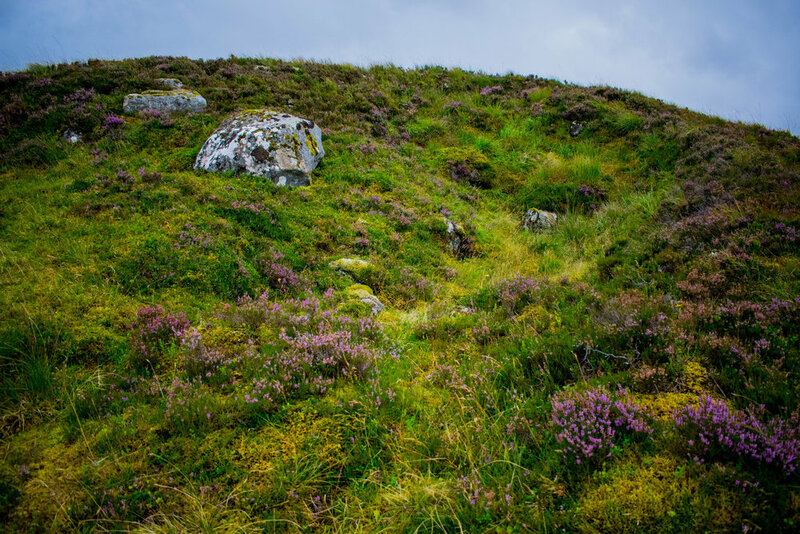 Some of my favorite memories from our adventures in Scotland are when we were feeling so defeated and like the Scottish wilderness had just totally kicked our asses, but then something amazing happened to lift our spirits. In this instance, we were beyond miserable with dead midges in our hair, ears, eyes, noses, and fingernails - then out of no where, a group of massive stags walked right in front of us. It was super early in the morning and we were the only people anywhere in sight and we're just staring down a group of stags. I've never seen them in person, let alone this close. It was incredible and just what we needed to answer our unspoken question. This is the kind of thing you go out into Scottish wilderness to see.